Which Postage Meter is Right for Me? In today’s fast-paced world, businesses 1) no longer have time to manually stamp and mail parcels, and 2) no longer need to. How so, you ask? 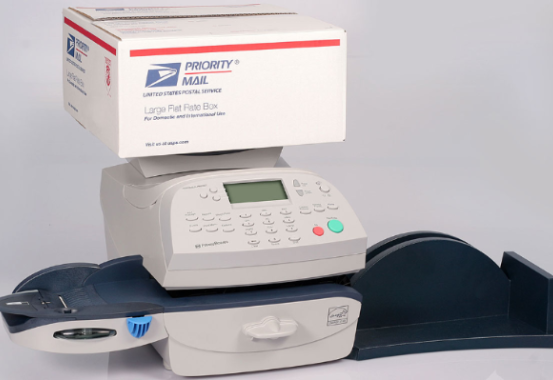 Pitney Bowes and other shipping & mailing companies manufacture postage meters, digital mailing systems, and a full suite of accompanying software to make this mundane business task a little easier. For many small businesses, finding the right piece of office equipment can seem daunting. In this blog, we’re breaking down the key benefits of a few Pitney Bowes solutions to make that decision a little easier. This postage meter provides a workflow boost in a compact, desktop footprint. With enough versatility to handle a stack of envelopes or a larger package, the DM125 is the perfect base model for small businesses. Designed to meet the needs of small and midsized businesses, PostBase handles a typical level of mailings. The desktop machine features built-in software with customizable presets and an automated feeder & sealer to process envelopes quickly and easily. If you’re looking to combine all shipping and mailing processes into one compact machine, it couldn’t be easier with the SendPro® 300. Not only does it act as a postage meter, but it also provides real time alerts and updates for any postage or equipment changes that will affect your workflow. Pitney Bowes boasts the first high-speed digital metering solution approved by USPS®. This powerful machine prints through patented dual print heads, plus offers an all-around intuitive metering system. There’s no question that shipping and mailing solutions from leading manufacturers like Pitney Bowes can improve your office workflow. With a wide variety of options, the only question to answer now is, which do you choose? At Pacific Office Automation, our office equipment experts can help answer that question by understanding your needs through product demos. Those listed here are just a sampling of our product offering. If you want to see more, browse our full line of postage meters.